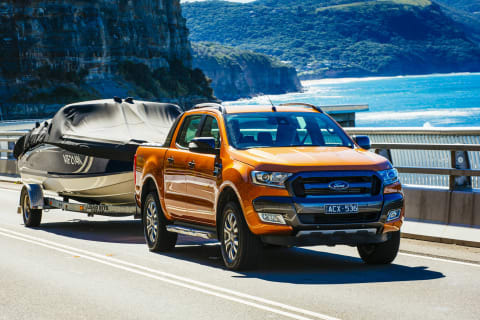 Towing for work and recreation is one of Australia's fastest-growing vehicular-based activities, but before you tow anything anywhere you must know your vehicle's towing capacity. So, you've asked yourself – how much can my car tow? – but you have no idea what that figure actually is. 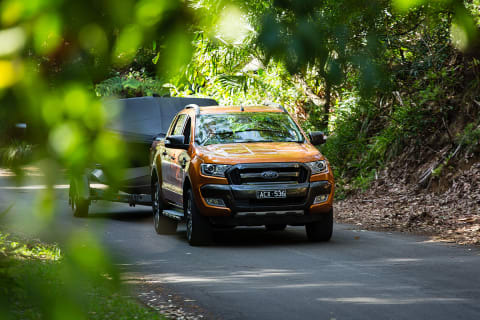 No worries – our towing capacity database will sort you out. Select your towing vehicle from the dropdown menus below and also – just to be sure – check your car's owner's manual as well. What is my car's towing capacity and why is it important? Your vehicle's towing capacity figures should be listed in the owner's manual and they should also be easily tracked down within vehicle specification sheets or sourced from a vehicle manufacturer's website. The big question is: how much weight can my vehicle tow? Towing capacities can range from 640kg (unbraked) and 1200kg (braked) in a compact AWD SUV, to 750kg (unbraked) and 3500kg (braked) in many large SUV wagons and dual-cab utes, through to the 6989kg (braked) towing capacity of a Ram 3500 pick-up. 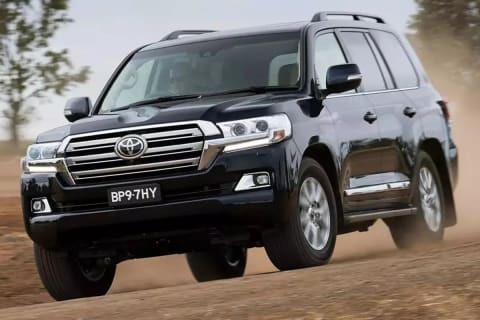 The maximum weight you can haul differs from vehicle to vehicle and even between different variants in the same line-up: a manual HiLux, for instance, has a towing capacity of 3500kg (braked), but its automatic stablemate has a towing capacity of 3200kg (braked). 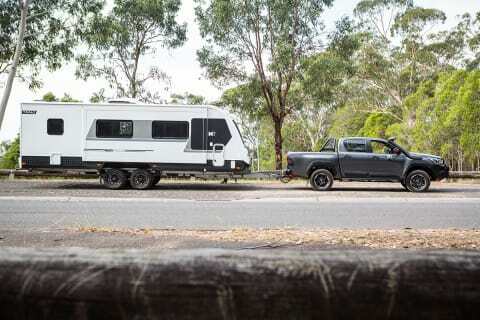 It's crucial to be aware that a vehicle's towing capacity is reduced when taking into account how much of a load the tow vehicle itself has onboard (passengers, aftermarket mods, camping equipment, etc) and – remember this – the vehicle-and-trailer combination always has to weigh within the Gross Combined Mass (GCM) limit, that is the maximum your vehicle-and-trailer combination can legally weigh. It's also important to keep in mind your vehicle's real-world weights, including its tare mass (a vehicle's weight when it is empty or unladen), ball load (how much weight a trailer or caravan imposes on your tow ball when it is hitched to your vehicle and the jockey wheel is not taking any weight), as well as things such as aggregate trailer mass, which RACQ describes as "the combined weight of the trailer and its full load when it is not coupled to a tow vehicle". For more on vehicle and trailer weights, read Mark Oastler's yarn. Before you tow anything over any substantial distance, use your local weigh bridge to get an accurate idea of the weight of your vehicle and trailer to make sure you're driving within legal limits.